Judy was very interested in having a way to open and close her apartment door herself. 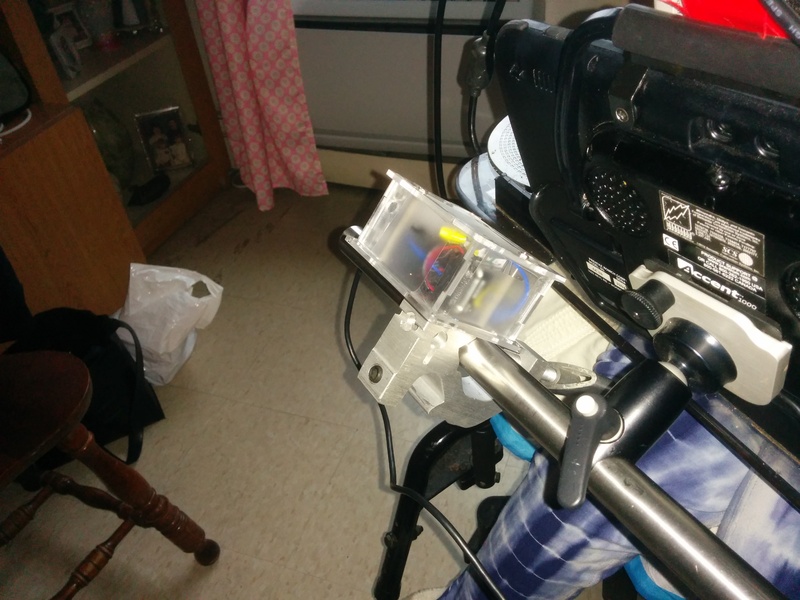 She has an AAC device that she accesses with a head mouse, and was hoping to use this to control that door. Her AAC device like most has IR transmitting capability which was already being utilized to control things like her TV. 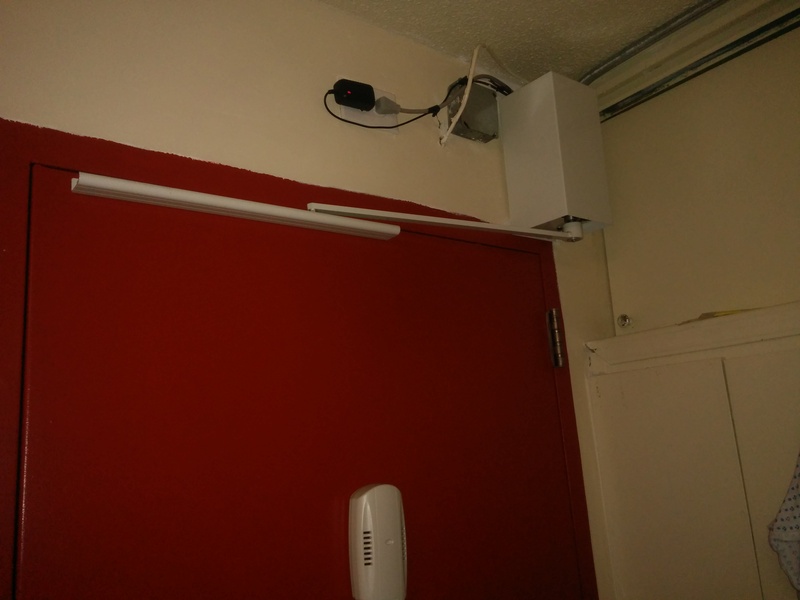 Since her door already had a motorized opener with an RF remote, one way to pull this off is to create a small device that acts as a bridge from the IR that the AAC device can send to RF that the door opener is listening for. Below is a video of the finished product in action. Judy drives her PWC up to the door, uses her head mouse to navigate to the proper IR screen, and then chooses IR command to open the door. Here’s the original test circuit. It comprises of small microcontroller board (Adafruit Trinket 3V), IR receiver (TSOP38238), an SSR (VO14642AT), and the guts of the original RF remote for the door (transmitter and battery). 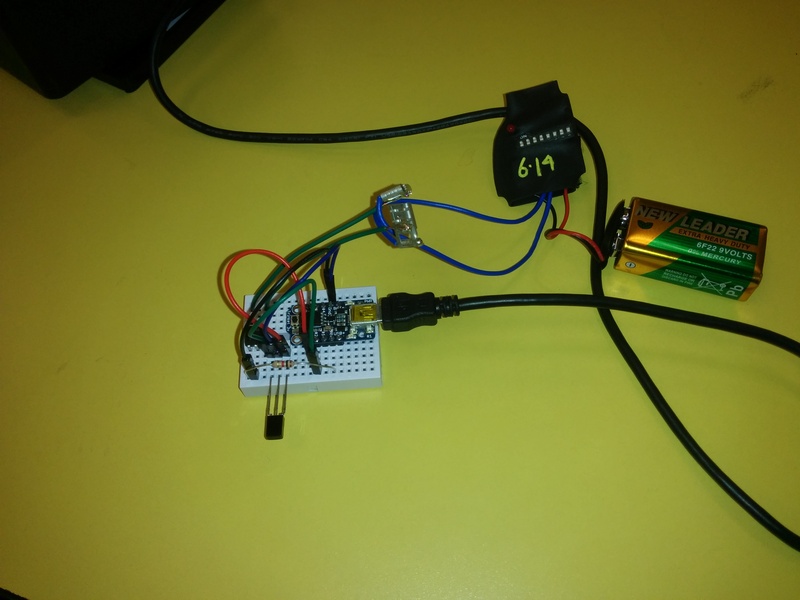 The microcontroller listens on the IR receiver for the right command, at which point it pulses the SSR which closes the connection to trigger the RF transmitter. 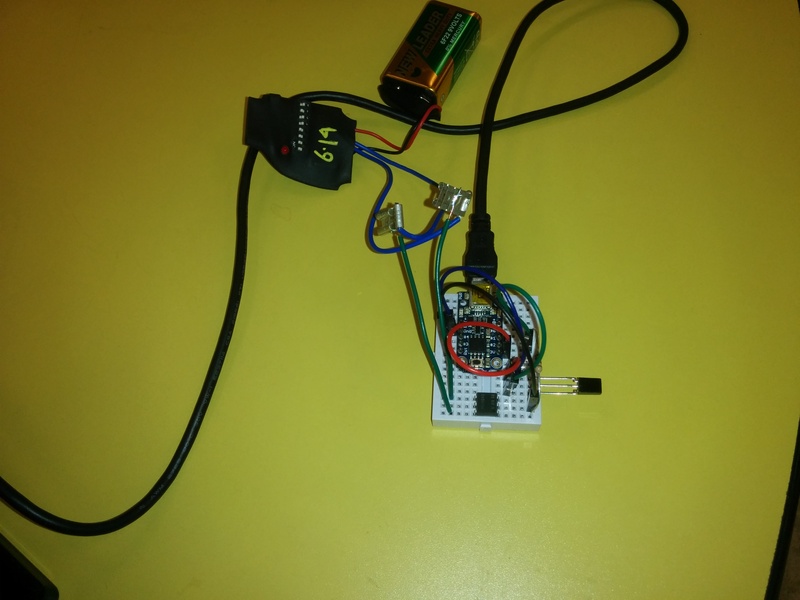 The Trinket board is powered off a USB cable connected to the AAC device. Here’s the preexisting opener and RF receiver above the door. Here’s the end result inside a nice enclosure with a mount that a friend put together. A transistor would be a slightly cheaper and smaller part, but would’ve required more than what I had on me during the visit to verify.